Serious off-roaders know how critical it is to carry an assortment of tools in case they run into difficulties on or off the trail. In some designated off-road areas, this equipment is actually mandatory. For these folks, or for anyone wanting to top up their emergency supply gear, the Handle-All from Hi-Lift is the ideal accessory. 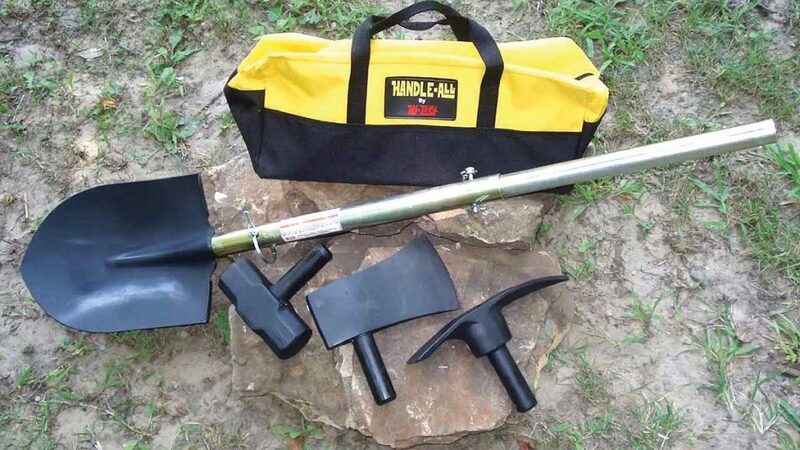 The multi-use product consists of a telescoping handle to which you can add a full-size shovel, axe, sledgehammer, and pick-axe heads. A handy tote bag keeps all the pieces in one place. Buy yourself some peace of mind for $195 at www.hi-lift.com.